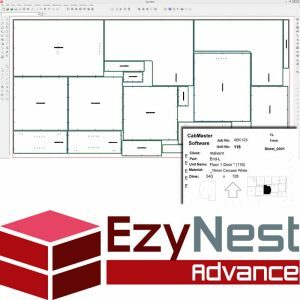 If you are simply looking for a link between CabMaster and your machine, then EzyNest Advance is what you need. With true shape nesting and full automatic tool path capabilities, you will have all you need to run your exported CabMaster jobs. EzyNest Advance also has built in labelling functionality to ensure mistake free edging and assembly.